It’s the holy grail of the energy industry: fusion power, the same reaction that powers the Sun, that could deliver near-limitless clean electricity. The unfortunate reality, though, is that generating power from a fusion reaction still requires far more energy to be put in than it ever puts out in the form of usable power. But researchers at the First Light Fusion group in Oxford, UK are looking to change all that. A pulsed power device they call Machine 3 just successfully completed its first test — a key step toward the ambitious goal of getting more energy out of it than they put in. Machine 3 has some pretty impressive sounding specs: it can discharge some 200,000 volts at more than 14 million amperes in just two microseconds — that’s about 500 lightning strikes unleashing their energy at the same time. There’s a catch: firing the machine up requires an immense amount of energy — more energy than it unleashes. But First Light Fusion has an aggressive timeline to flip that equation on its head. That’s a tall order. While fusion reactor science has made some breakthroughs lately — including the patching up of leaky reactors for maximum efficiency, and stabilizing super-heated plasma in fusion reactions — we’re still a long way from the dream of nearly unlimited electricity. But we might be closer than ever before. 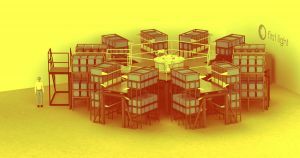 “We must be led by the science and there is still a lot to do, but if we can find the target that works with our reactor design, fusion would not be ‘always 30 years away’ – we could make it happen much faster than that,” Hawker said. The post This Startup Wants Its Fusion Reactor to Actually Produce Power appeared first on Futurism.